Aston, Astronauts and Angelina’s children is the title of the forthcoming ninth episode of The Grand Tour season 3. This episode looks to be a bit of a mixed bag rather than just one main feature and these tend to be the type of shows I personally enjoy the most. We can look forward to seeing Hammond testing the new Aston Martin V8 Vantage around the Eboladrome as he compares it to his favourite car the Porsche 911. 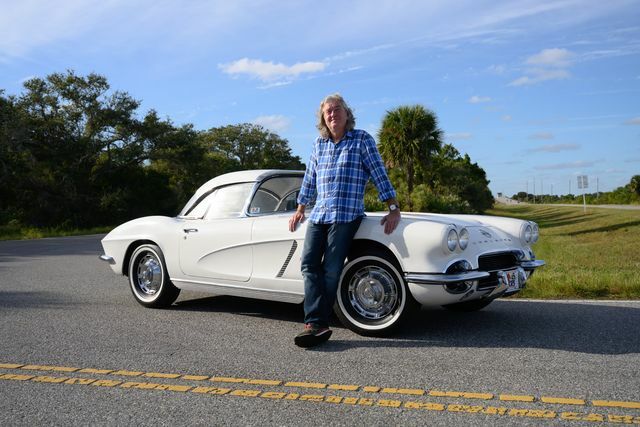 James May gives us a history lesson as he takes a look at the cars driven by the astronauts of the Apollo moon missions and even gets to take a spin in Neil Armstrong’s Corvette. Meanwhile, Clarkson is testing the Citroen C3 Aircross as he attempts to convince the others that it’s spacious, versatile and better than an elephant. I can only imagine how Jeremy plans on proving this last point! The Grand Tour season 3 episode 9 will air on March 8th.